Pam Bailey—Marketing & Business Development Coordinator for the Bedford County Office of Economic Development. Bailey brings 20 years of marketing/project management experience to Bedford County; she most recently served as the Senior Account Executive for Blair Marketing. She holds a B.S. from Meredith College in Raleigh, N.C.
Lauren Dixon—Promoted to Assistant Vice President, Accounting at Bank of the James. Dixon joined the bank in September 2008; she was named Accounting Specialist in 2009 and promoted to Accounting Officer in 2013. Dixon received an A.A. in Accounting, a B.S. in Finance and an M.B.A. from Liberty University. Dexter C. Glass, Jr.—Named Vice President and Portfolio Manager II at Bank of the James. Glass has worked in banking for eight years and has held various positions. Prior to joining Bank of the James, he served as Manager of Corporate Credit and Accounts Receivable for C.B. Fleet. He has an M.B.A. from Liberty University and a B.S. in finance from Virginia Tech. Christy H. Howard—Named Senior Vice President and Portfolio Manager II at Bank of the James. Howard spent six years at BB&T in Lynchburg where she was a Portfolio Manager/Commercial Credit Underwriter and 10 years as a Controller for a local manufacturing company. She has a B.A. in Accounting from Lynchburg College. Christine Kennedy—Elected to VA Chamber of Commerce Board of Directors. 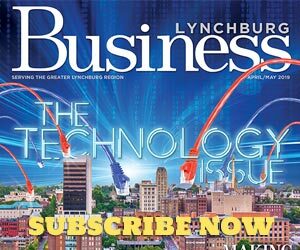 Kennedy, Executive Vice President of the Lynchburg Regional Business Alliance, has worked with the VA Chamber of Commerce on two consecutive statewide strategic plans for Blueprint VA. She also hosted regional focus groups for the Blueprint creation. Kirstin McHenry—Promoted to Vice President and Loan Officer at Bank of the James. McHenry joined the bank in July 2015 as Treasury Sales Manager. Since then, she has grown the frontline treasury revenue streams across a portfolio of corporate clients. She earned an M.B.A. from University of Phoenix and a B.S. from Virginia Tech. Renea Milam—Named Assistant Vice President and Internal Auditor at Bank of the James. Milam joined Bank of the James as a teller at the Altavista office in 2008. She was promoted to Officer and Assistant Branch Manager before becoming an Internal Audit Officer in 2015. Milam earned an M.B.A. and B.S. from Liberty University. Andrew (Drew) Neiderer—Director of Special Operations at MontVue Capital Management. Drew will be responsible for implementing portfolio management strategies and comprehensive wealth management solutions. Drew graduated from Virginia Tech’s CFP® program in 2015 with a degree in Applied Economic Management. He has worked in a number of roles in the investment advisory industry, most recently as an Associate Financial Advisor. Karen Webb—Promoted to Vice President and Loan Officer at Bank of the James. Webb joined Bank of the James in 2007 as Branch Manager and Bank Officer at the Boonsboro office. She later transitioned to Assistant Vice President and Loan Officer in October 2015 and is currently headquartered at the Forest office. Webb attended the University of Tennessee and Liberty University. Greg Wormser—Appointed to Lynchburg Fire Chief. Wormser began working for the Lynchburg Fire Department in 1995 as a Firefighter Paramedic and has continuously been promoted through the ranks. He graduated from Lynchburg College in 1994 and received his Master of Public Administration from Old Dominion University in 2016. PreviousDEBUNKING THE TAX MYTH: SHOULD YOU REALLY BE EXCITED ABOUT THAT BIG TAX REFUND?